This month we've worked on AGS' savvy tone of voice and cross-promotion by tagging other brands or organisations. 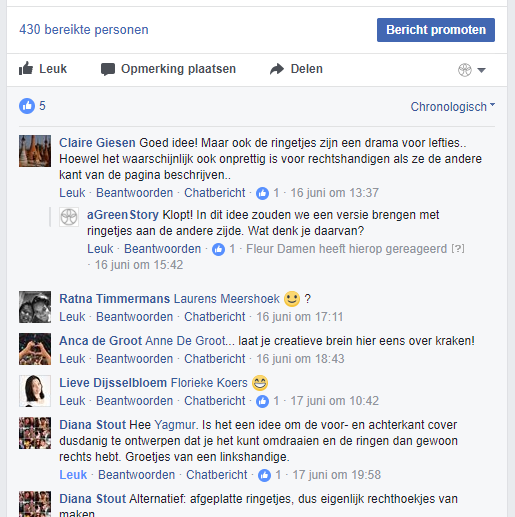 We've also used social media to get feedback from our audience. 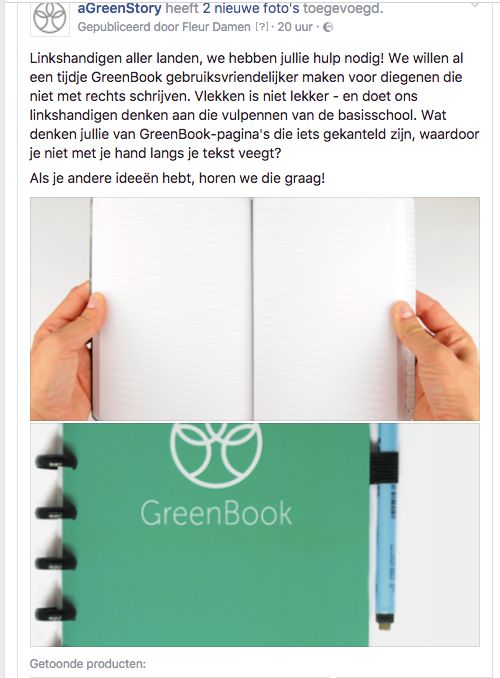 We ask our contacts what they think about planned innovations - such as the introduction of a GreenBook for left-handed people - and whether they have any tips to improve the idea. That way, we want to make sure our products are catered towards those we work for. We try posting fun and savvy things on Twitter, too - and tagging our partners, to keep them engaged. 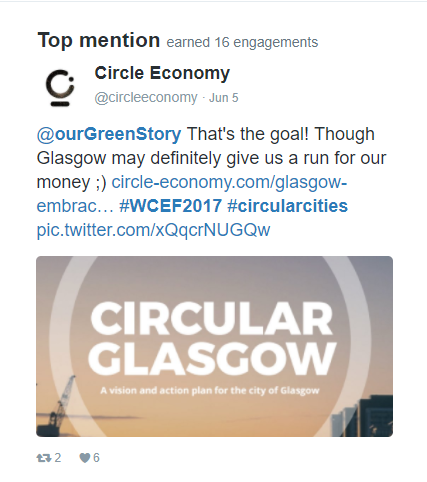 Great engagement with other brands focused on sustainability. A number of Tweets did really well this month so we will be Rebuffering them in the future. 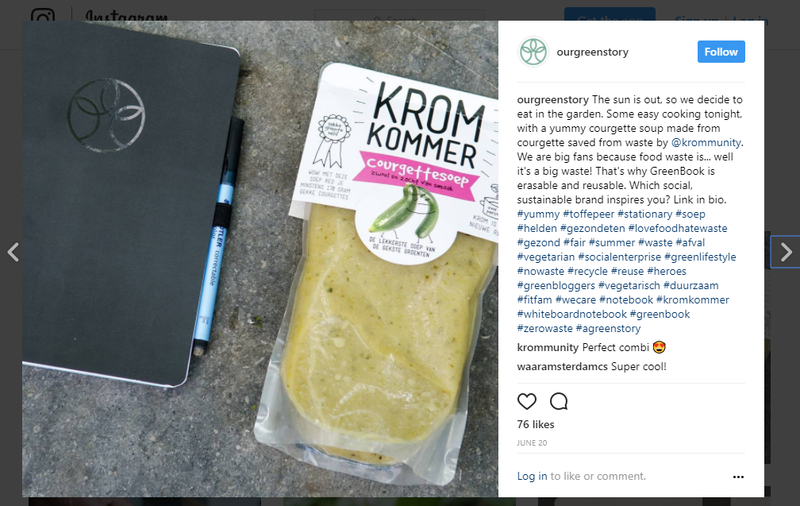 Finding the right hashtags to increase engagement. Trying out topics that we think are interesting to our target audience. Tagging a Zero Waste restaurant in Brighton. 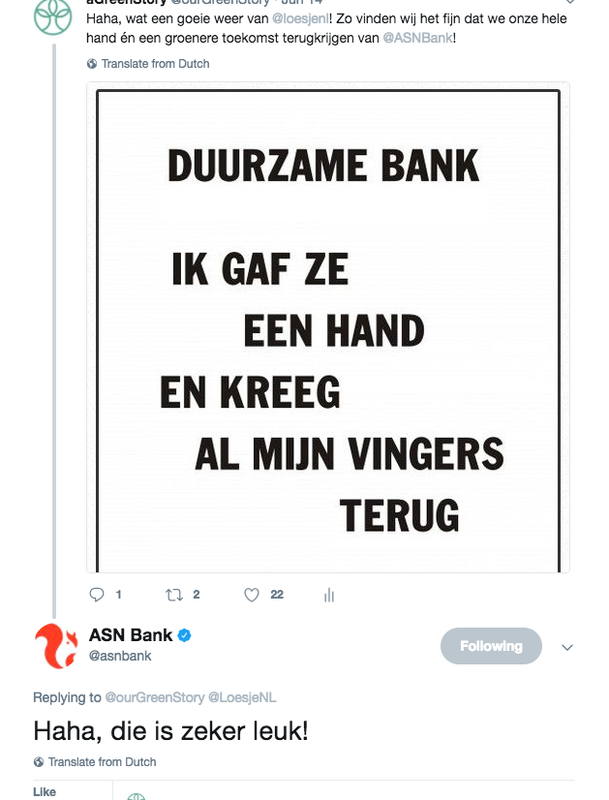 Since the start, AGS has had a strong relation ship with the ASN Bank, Tagging them results in a high number of impressions. 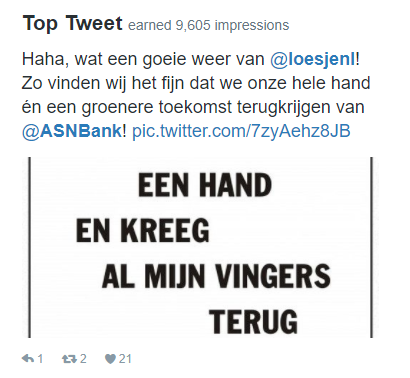 Wow, this tweet with our new creative picture is doing very well! 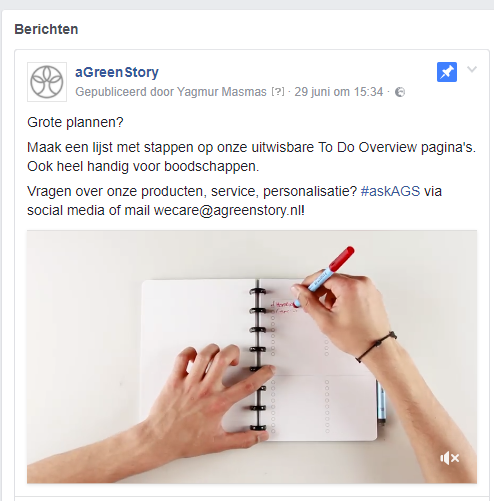 Facebook for us is great because of engagement, it is the one place where we are most likely to receive answers to questions. Uploaded one of our new product videos for a pinned post. We're using Facebook's shop options to tag products in posts. 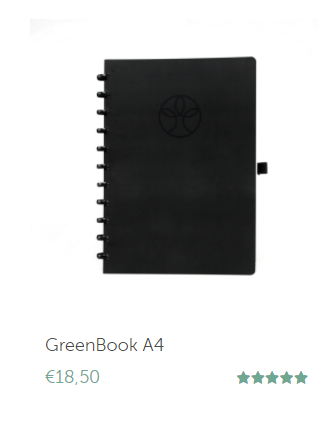 We asked how we could make adjustments or additions to GreenBook to make it more suitable for left handed people. We're very happy with the new photo shoot because we now have high-quality images to share on Instagram. It's also great for interaction with influencers and other brands. We have not been actively following and unfollowing so we are happy with our organic follower count thus far. WAAR Amsterdam CS is a location of a big sustainable retail chain in the Netherlands. They commented on this picture. 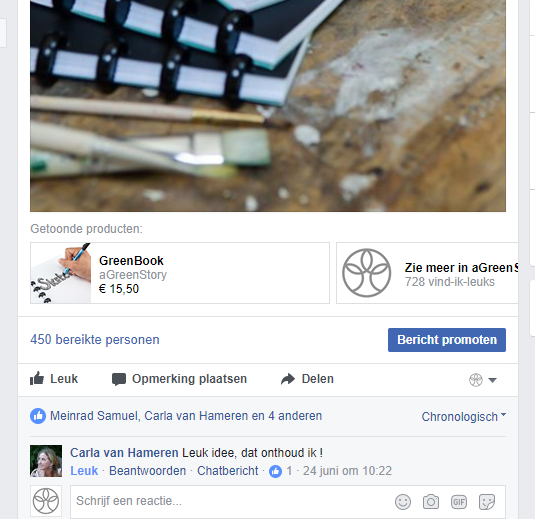 In response, we messaged them about starting with GreenBook in their shop. We will be taking further action to contact the head office. LinkedIn is the platform we most recently started outreach on. Thus, we're still taking the time to see what this audience responds to. 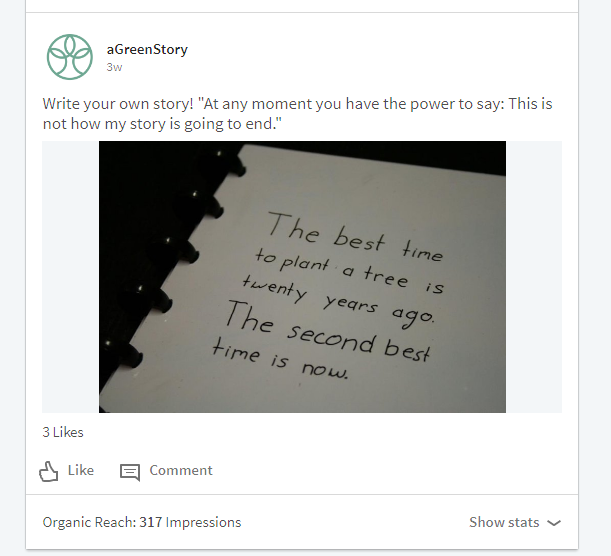 Good organic post reach via LinkedIn. This week we received two new product reviews. 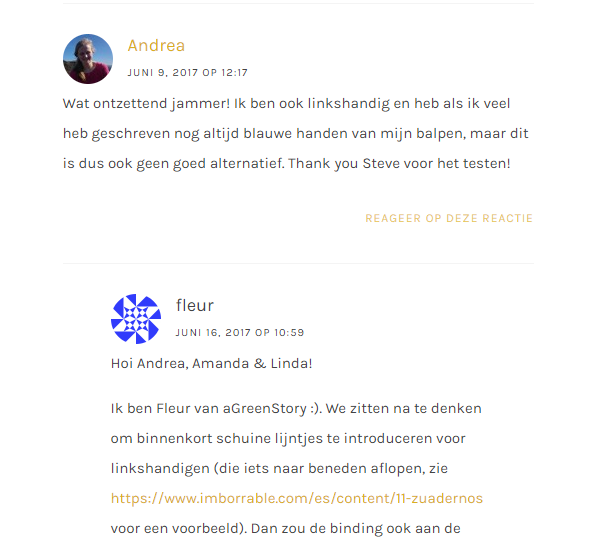 Fleur actively interacted with comments below the blog post by ikbenirisniet, especially regarding questions about GreenBook for left handed people. We've changed the website structure to be as simple as possible and added new product pictures. This report was lovingly created by aGreenStory.